Healthcare start-up Lybrate has recently received $10.2 million funding from Tiger Global Management, Ratan Tata, Chairman Emeritus of Tata Sons, and existing investor Nexus Venture Partners. The company claims to be the only app to deliver 1:1 private conversations between patients and doctors and to have medically curated healthcare information. 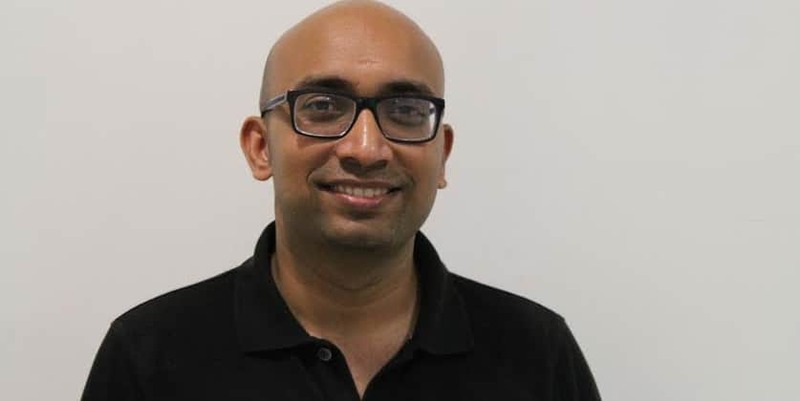 In a conversation with Voice&Data, Saurabh Arora, CEO, Lybrate and a Former Data Scientist at Facebook, talks about the Lybrate app and how it is contributing to the app ecosystem. Voice&Data: What type of role Lybrate is playing in the app ecosystem of the country? Saurabh Arora: Lybrate is solving India’s fundamental problem of healthcare delivery in India, which is the inaccessibility of doctors that gets compounded because of demand-supply gap of healthcare professionals. By connecting the doctors and users through the app and making them communicate seamlessly, we are increasing the presence of healthcare experts and fixing the issue of doctors’ crunch in the country. The distinctiveness of the app is that it makes users to get their health queries answered anonymously using the Question-Answer platform, designed specifically for healthcare. In addition to addressing the problem of shortage of doctors, the app very effectively deals with the rampant issue of self medication, in which people in the country indulge heavily due to the lack of time, inertia to visit a doctor, busy schedules, waiting time at doctor’s clinics and carelessness. A survey by Lybrate showed that 52% of Indians involve in self medication and expose themselves to severe health risks. By providing people the option to seek opinion in a convenient manner, the app very well cuts the prevalence of self medication. Using the app, people can get their health queries answered from 80,000 doctors from multiple specialties from across India from anytime, anywhere. The app helps the users in three unique ways. It enables them to communicate with doctors and have multiple opinions for free; initiate one-on-one dialogue with them on payment of professional fee online and be able to share text, photo and voice message. The Health Feed in the form of tips from doctors provides key information to any idle user and encourages them to stay healthy and fit. Each health tip is categorized under one of the 400 topics and users can choose to receive health tips based on their interest and preference. Lybrate is striving to make healthcare available to every citizen of the country, having a population of 1.2 billion. We do not want anybody in the country to remain devoid of the very basic necessity and we are hopeful to achieve the goal with growing internet penetration and usage of smartphones. Voice&Data: What are your key achievements since your establishment in 2013? Saurabh Arora: We thought of doing something very unconventional i.e. connecting patients to doctors via mobile phones and make them communicate, which is now a reality. Two years back, it was an uneasy sight to witness chemists directly diagnosing the health ailments of people and prescribe medicines, for which they were not even qualified. The root cause, on studying the factors, turned out to be inaccessibility of doctors. This was the situation in urban areas, so the condition in Tier 2 and Tier 3 cities appeared to be much worse, where accessibility to doctors itself is a big challenge. This prompted us to find a solution and build a platform where patients could seamlessly communicate with doctors from anywhere, anytime. In the last two years, we have iterated and improved upon the app to make it more user-friendly and this continues be an ongoing process. During the course, we have received support from prominent investors such as Tiger Global and Nexus Venture Partners, and chairman emeritus of Tata Sons Ratan Tata. The response from users as well as doctors has also been incredibly overwhelming. Ever since the app’s launch in January this year, it has seen more than half a million downloads and over 100,000 patients visit the platform every day. Lybrate has over 80,000 doctors associated with it from multiple specialties and from across India. The network of doctors is expanding rapidly. These figures are very encouraging and shows that we treading in the right direction to achieve our mission of making healthcare accessible to all in the country. Voice&Data: What type of innovations can we see from Lybrate in the near future? Saurabh Arora: We will soon be launching the video feature for private conversations, along with real-time voice conversations that will further ease out the way communications between users and doctors are taking place. Voice&Data: What is the key differentiator in this healthcare app? Saurabh Arora: Lybrate app efficiently bridges gap between patients and doctors by letting them communicate easily. For users, it provides them access to doctors from across India, eliminating the one-zone geography. Lybrate’s platform also addresses issue of self medication when a user is hesitant to see a doctor due to time constraint or high doctors’ fee. It reduces the need for patients to travel for minor issues or follow on care, thereby solving congestion of patients in hospitals. For doctors, it multiplies their presence to different geographical locations. Voice&Data: Please tell us something about expansion plans in terms of marketing, sales, localized content etc? Saurabh Arora: Presently, 60% of Lybrate’s users are from metros and the rest from Tier 1 and Tier 2 cities. We are looking to expand our footprints in the non-metros further. Voice&Data: How does the company plan to use the recent funding it raised from Tiger Global, Ratan Tata and Nexus Venture Partners? Saurabh Arora: We will utilize the funds to develop product, recruit talent, augment technology and scale operations. As Lybrate is a technology-enabled company, we will be investing a sizeable sum on enhancing it further as also on hiring the right people who gel with the company’s vision and mission of making healthcare accessible to all in the country. We will invest sizeable sum in technology and launch a video feature soon: Lybrate CEO 3 out of 5 based on 1 ratings. 1 user reviews.